Have shot several deer with Federal Fusion but it almost let me down on my last deer. I shot at a standing deer at about 100-125 yards. Zero blood where the deer was standing and I was afraid I missed. I followed in the direction the deer traveled after I shot and still no blood. I was about ready to give up thinking it was a clean miss when I noticed the deer lying dead about 25 yards off the trail. I made a respectable high lung shot and the bullet failed to pass through. 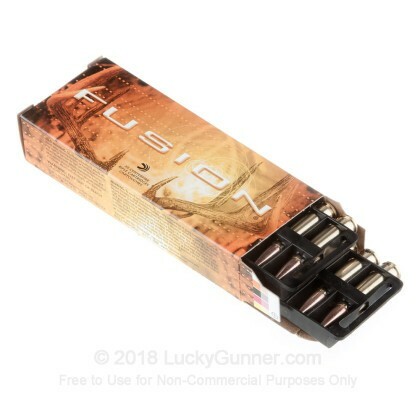 I will still use Federal Fusion until a better option is available. The first year I used this round, I was offered a shot at about 135 yards across an open ag field. 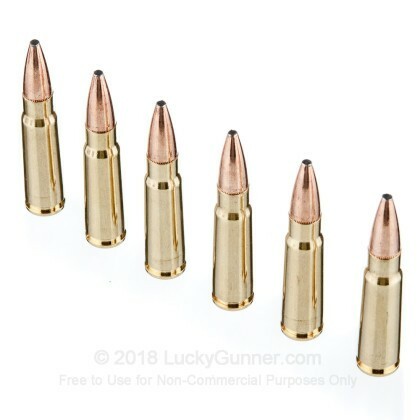 The buck was a 135 class whitetail and I was confident that my CZ527 carbine and I could make the shot, but would the bullet do what it was advertised to do. At the shot, the buck's front knees buckled and he ran about 25 yards and dropped. The bullet entered behind the deer's right shoulder and exited in front of the left shoulder. The exit wound was sizable and the blood trail was massive. Next adventure for me and my CZ - black bear. Shot the Fusion in my scoped CZ bolt action at 60 yards off sand bags. Excellent groups. Also shot the Priv Partizan which was even cheaper to buy. Its also performed excellent. 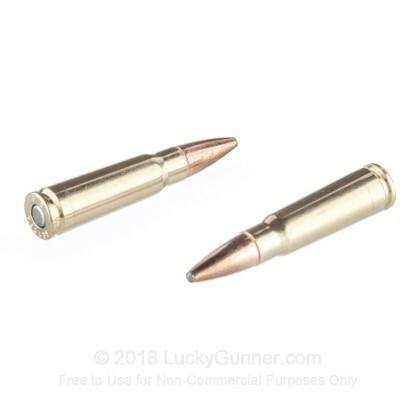 I didn't shoot a deer with either load (used my 30-06) but I like the rounded tip on the Partizan. It looks like it would expand at impact better. Just an opinion, not really sure. Might try it next deer season. After several months of evaluation and research it was decided to go with the 7.62x39 as a Whitetail deer load. The following few months was checking what rifle to use. 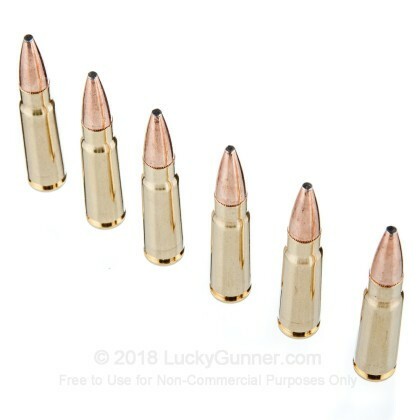 Then one the Ruger Mini 30 and 7.62x39 was decided it was what ammo would be best to take the deer with the goal was to use one shot and bring the deer down without a long track after the shot was made. 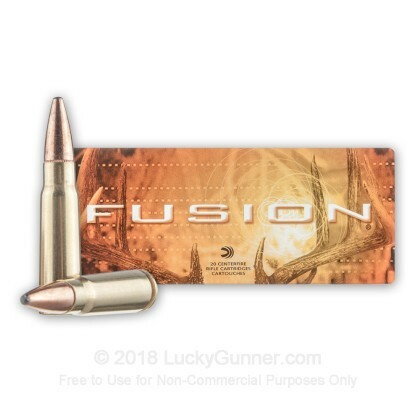 Many brands were tested and Federal Fusion came out on top. So on opening day just 1 3/4 hours into the gun season. I was offered a semi-difficult shot on a nice whitetail buck. The success of the shot depended on solid performance from the shooter, the rifle and the ammo as a trio. None was a disappointment and the buck was tagged. 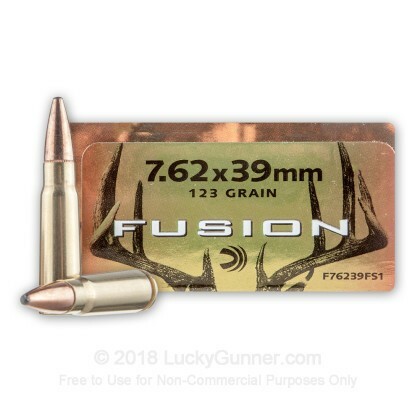 I am totally sold on the Federal Fusion 7.63x39 as a whitetail deer round.